I’m sure you’ve heard someone say, “Rome wasn’t built in a day.” That’s because it wasn’t (I know–I was there). Take one step at a time. Everything happens when it’s supposed to, so all you need to do is stay encouraged while you work towards your goals. 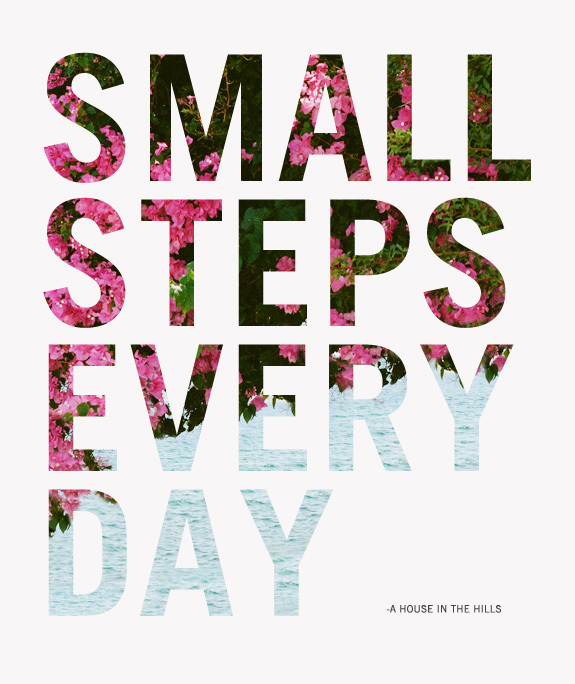 “Small steps every day”… Just in case I you need a reminder. When an Angel falls for a mortal no telling what will happen….